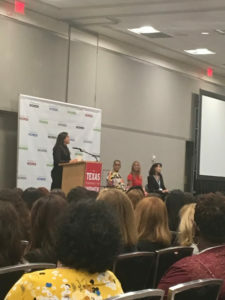 The Texas Conference for Women provides connection, motivation, networking, inspiration and skill building for thousands of Texas women each year. 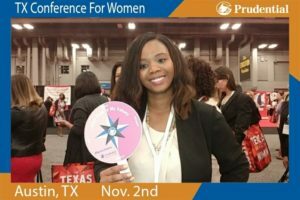 The 18th annual Texas Conference for Women will be held November 2, 2017 at the Austin Convention Center in Austin. This year’s conference held Nov 2, 2017 sold out in just 6 weeks of opening to ticket sales, which is impressive to say the least. 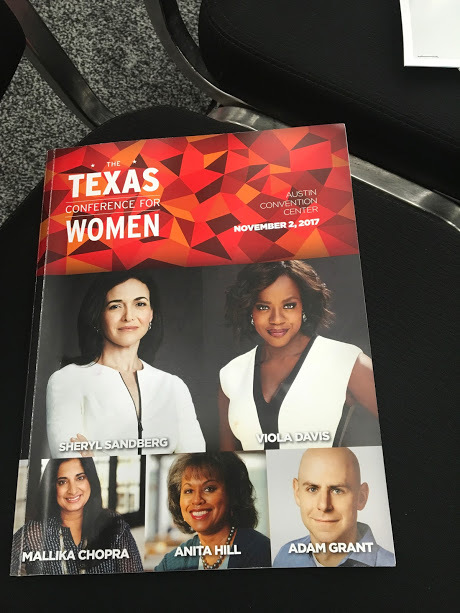 The lineup of speakers were endless, with fearless women leaders including Viola Davis, Anita Hill, Sheryl Sandberg and ample executive from fortune 100 /500 companies including Prudential VP of Marketing Janice Co. 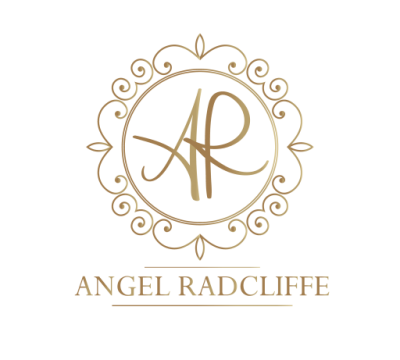 If you are wanting to expand your network, this was definitely the conference to be attending, event companies wishing to offer leadership & development opportunities for their employees and empower women within the companies. Getting to the conference early is key if you wish to make the best of your time, or staying In a nearby hotel and walking to the Austin convention center. I drove from Dallas and arrived at 6:30 am only to find all parking was already filled, yes at 6:30 am. Bummer, I know. 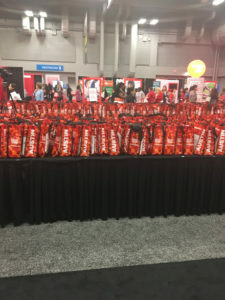 Once entering the convention center, women are greeted by volunteers or other convention goers, everyone was super friendly, the grab bags were flowing with gifts from sponsors in tow. The morning keynote speeches were highly attended and everyone was looking forward to hearing from Anita Hill. Prior to Anita Hill taking the stage, we heard from seven speakers, including Mallika Chopra who is the only woman I have seen able to have a crowd of 7,000 plus meditate in the am, as well as Janice Co, Prudential VP of Marketing. 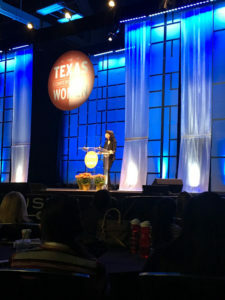 Other morning speakers included; Terri Gruca, Melanie Foley, Marian Cabanillas, Adam Grant, & Debbie McClure. After the opening keynote speeches, each hour offered 4-6 breakout sessions or the option to explore the exhibit hall. The main conversation of this breakout session was moving women towards shattering glass ceilings, In order to be successful, one must always have a strategy to outsmart the competition and the environment, even if you feel as though the surroundings and people are a waste of time. Great advice from a well-formed panel. Maneuvering the conference was quite the task with 7000 women (and men) in attendance, bring plenty of patience. 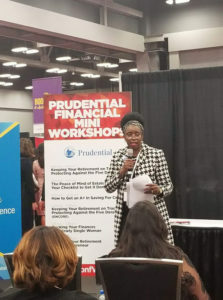 While waiting on the lunch keynote, I explored the exhibit hall and gained sound investment and college savings advice from a Prudential advisor. 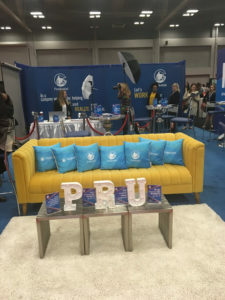 In the prudential lounge, attendees were able to obtain a complimentary headshot, makeup application or take a fun selfie. I found myself interested in more than one breakout session concurrently, and moving room to room hoping not to miss any golden nuggets. This conference was not only empowering, but very encouraging to see so many women working together and women who are ‘the voice’ of their companies. For many years, you would only see men in roles such as C level or VP and to have listened to and interacted with these fearless leaders, I am honored. The Texas Conference for Women is indeed on my yearly bucket list of conferences to attend and I will be present in 2018.